Canopy Growth is widely considered to be the market leader in the growing cannabis space. There has been recent news that the company may miss on revenue estimates in its upcoming earnings report. If a revenue miss does occur, Canopy Growth is still positioned well as their growth story and strategy have not changed. Note: Amounts expressed in U.S. dollars unless otherwise noted. 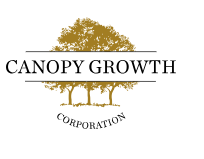 All eyes will be on Canopy Growth (NYSE:CGC) when they report their Q4 earnings results, presumably within the next few months (the actual date has yet to be released by the company). If Canopy Growth misses on their top-line revenue results when they report, it would not be surprising if their share price takes a corresponding dip. Last Thursday, Scotiabank analysts cut their Q4 revenue estimates for Canopy Growth (TSX:WEED) by 26% to $87M. The price of CGC shares subsequently slid bottoming out at $39.66 per share. "We see street estimates being far too high, which we expect to result in large earnings misses next quarter,"
"We expect aggregate calendar year first-quarter 2019 cannabis revenue to be below fourth-quarter 2018, while the street is looking for a 35 percent increase". This commentary was met with a negative sentiment from market as Canopy is often looked to as a leader within the cannabis industry. If there is a revenue miss for Canopy Growth, it will be important to look at the magnitude of the miss and any guidance given to explain the decrease in revenue. There have been many industry-specific challenges with distribution and retail issues in some Canadian provinces, which could have adversely impacted many licensed producers in Canada. Putting too much weight on one quarter of results can be a poor lens by which to look at a company. 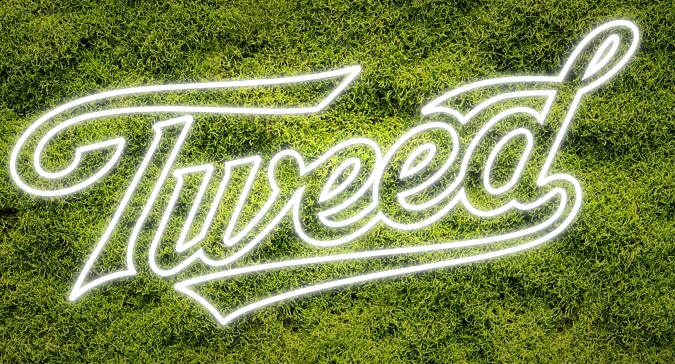 For comparative purposes, in Q3 2019, Canopy Growth's revenue was approximately $83M compared to $21.7M for the comparable period in the prior year. As such, the theme of revenue growth is clearly expected from the market. Despite the potential let down from not achieving the growth that analysts had predicted, the growth strategy and fundamentals of the company have not really changed. Ultimately, a Canopy Growth revenue miss for this one quarter can be overlooked, provided their guidance and growth strategy remain intact. Given their global reach, the backing of their investor Constellation Brands (STZ) and a strong portfolio of brands and investments, the company is well positioned to create shareholder value over the long term. 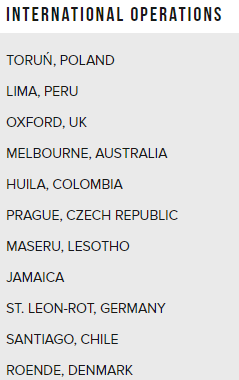 The list above is a truly global list, and the company has operations in the countries in which many of their competitors do. At this point, based on the most recent Q3 2019 financial statements, the majority of the revenue of Canopy Growth is from Canadian operations. "Canopy Growth's $100-150 million USD investment in the Southern Tier is a true win-win - for Canopy Growth, who will be positioned at the forefront of Upstate New York's industrial hemp revolution, and for the Southern Tier's economy and farmers, which will receive a major shot in the arm in new good-paying jobs." The company has previously discussed its hemp advantage as an organization and clearly sees this expansion as a way to execute on that advantage. A new CBD/hemp revenue stream outside of Canada would help grow revenue and strengthen profitability for the company. When Constellation Brands announced that it would be investing $5 billion (CAD) into Canopy Growth, a sense of legitimacy was brought to both the company itself and the industry. The investment in Canopy positions both Constellation and Canopy to thrive if they can leverage each other's strengths and execute on future opportunities. The $5 billion has been used to make strategic acquisitions, fund capital expenditures, and for general operating purposes. In just nine months ended December 31, 2018, Canopy Growth had spent approximately $1.785 billion on investing activities. The cash infusion from Constellation Brands allows Canopy Growth to make investment decisions aggressively and not have to access the public markets for debt offerings or dilutive share-based transactions. By making strategic acquisitions and investing its capital, the company will be able to fuel both organic and acquired revenue growth. In a Mad Money interview with Jim Cramer earlier this month, CEO of Canopy Growth, Bill Newlands was extremely positive on the outlook of the company. "If you look at Canada alone, Canada is on a run rate of $5 [billion] to $6 billion in sales, and Canopy is the leading player in that market". "Then you add in new form factors later this year in things like beverage and other edibles, we think the sky's the limit. This is going to be a big business, and Canopy is going to be the leader." There is a clear excitement from the CEO about Canopy and role that it is going to play within Constellation in the future. He further noted that Canopy Growth could reach $1 billion in sales for this fiscal year. Source: CNBC. The investment and commitment from Constellation Brands are an advantage that very few cannabis players have, and Canopy Growth is set apart by this promising affiliation. Canopy Rivers (OTCPK:CNPOF) was launched to act as an investment platform for Canopy Growth. The type of companies that Canopy Rivers invests in includes large-scale greenhouse cultivators, craft cultivators, brand developers, pharmaceutical formulators, beverage companies, license applicants and several others. In February, Canopy Growth injected an additional $30M (CAD) into Canopy Rivers through a subordinated voting share bought deal, increasing their ownership stake to 27.3%. The additional investment confirms Canopy Growth's consistent commitment and long-term vision for the company. This type of investment structure is one that sets Canopy Growth apart from its competitors. Canopy Rivers' financial results going forward could have considerable impact on the profitability of Canopy Growth. Given how diversified the portfolio of investments is, if some of the companies held experience first-mover success and can execute rapidly, Canopy Growth will be able to enjoy the financial success of these ventures. Further, any synergies gained with respect to distribution, technology etc. can be passed along between the two companies. The company has several craft cannabis brands, a medical brand, and a women-focused brand, to name a few. One of the most exciting new brand collaborations that Canopy Growth has engaged in is a partnership with Martha Stewart and Sequential Brands (NASDAQ:SQBG). Martha Stewart will join the company in an advisory role and partnership appears to be centered around CBD product development. Per Canopy Growth CEO Bruce Linton. "As soon as you hear the name Martha, you know exactly who we're talking about. Martha is one of a kind and I am so excited to be able to work alongside this icon to sharpen our CBD product offerings across categories from human to animal." This should nicely complement the $100M - $150M investment that Canopy Growth will be making in the New York state hemp industrial park. One specific risk to Canopy right now is that the value of their many acquisitions, and if any, are subject to a goodwill impairment. Earlier this week, we saw Aphria (OTC:APHA) take a goodwill impairment of $50M on its LATAM acquisition. It would not be surprising to see Canopy or its competitors to take a writedown on their assets based on impairment tests. As of Q3 2019, the company had over $1.8 billion worth of goodwill on their balance sheet. An impairment charge taken with respect to Canopy's acquisitions could be a negative sign that acquisition strategy is not playing out as they had hoped. This would negatively impact profitability and could weigh on investor confidence going forward. While Canopy Growth is arguably a market leader in the cannabis industry, there is obviously a considerable amount of competition at the forefront of this new sector. With respect to the revenue, if a revenue miss does occur, the magnitude of the miss is what many investors will focus on. In addition, the upcoming Q4 earnings release could have additional results or information that may question Canopy Growth's market position and future strategy. It would be difficult to foresee a situation where Canopy Growth is not a perceived leader in the cannabis space after they announce their Q4 earnings. The short-sighted approach is difficult to endorse, given the infancy of the industry as a whole. Canopy Growth's international footprint and continued expansion, strategic backing of their investor Constellation Brands, and strong portfolio of diverse brands and unique investments cannot be overlooked. Despite what top-line revenue comes in at, the company can still thrive, even amidst some poor quarterly figures. Disclosure: I am/we are long CGC, APHA. I wrote this article myself, and it expresses my own opinions. I am not receiving compensation for it (other than from Seeking Alpha). I have no business relationship with any company whose stock is mentioned in this article. Additional disclosure: This article is for information purposes only. Please do your own research and due diligence and consult a financial advisor and/or tax professional if necessary before making any investment decisions.